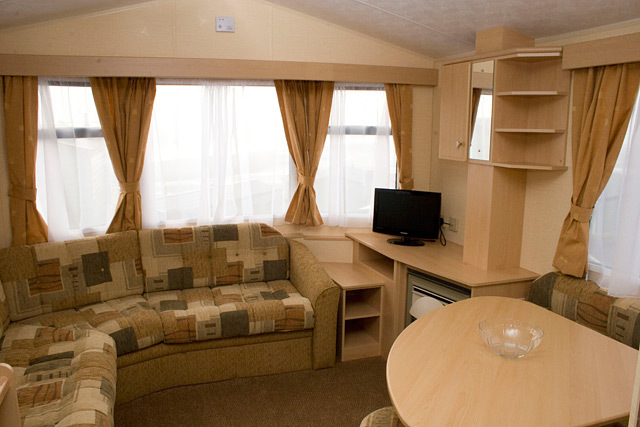 Our two star holiday home offers stylish and spacious interiors at unbeatable value. 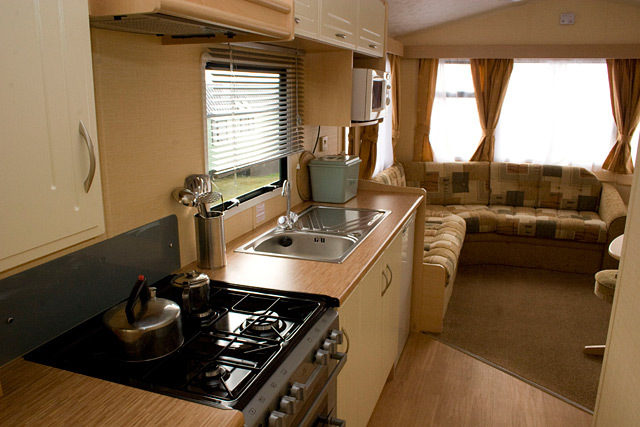 The generous, open-plan living area has an instant, welcoming appeal and features a fully vaulted ceiling, stylish cabinetwork, a contemporary gas fire and attractive, softly toned furnishings. This floor plan is for illustrative purposes only. 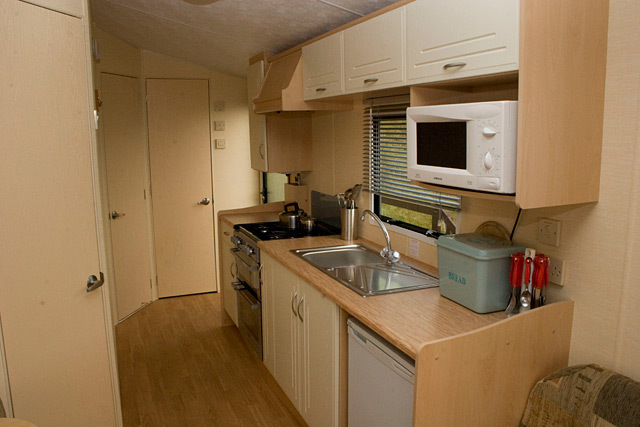 The floor plan below and pictures above are of one of the 5-star caravans sited at Pettycur, but please note there are variations in design and layout within the same hire class, and not all models are identical to those depicted. 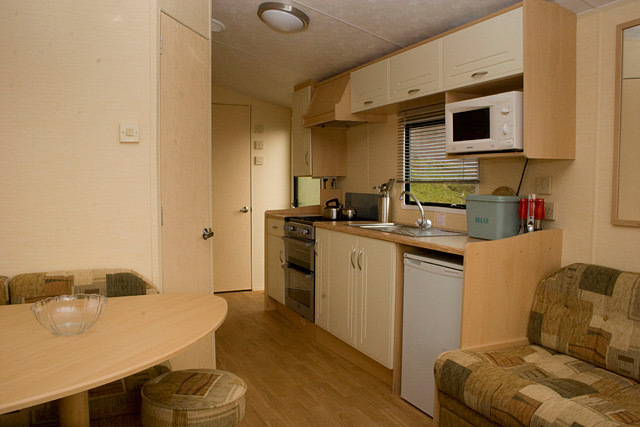 Please contact us for full specifications and prices. 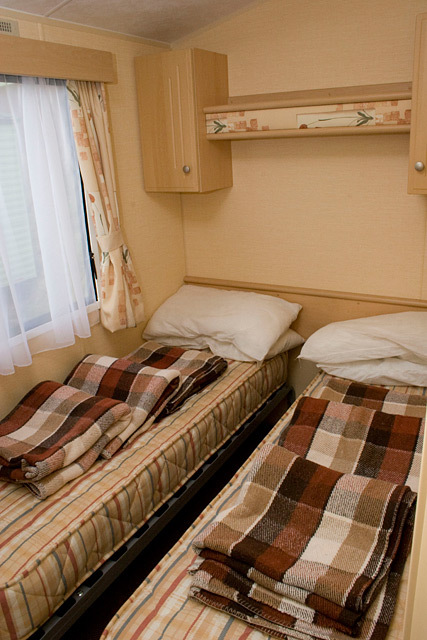 See our caravan hire rates for full details and terms. 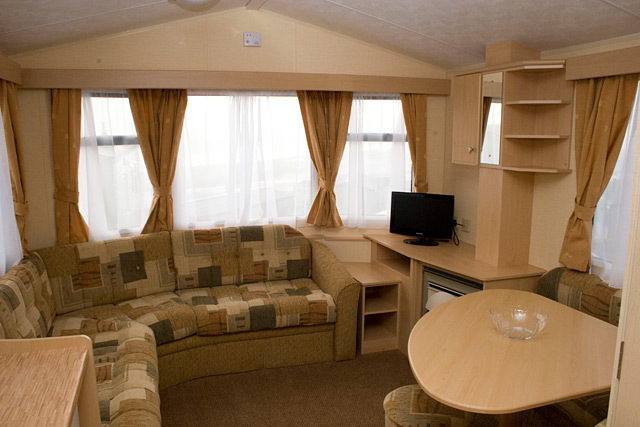 Pre-authorisation by credit card deposit is Required on Arrival - Security is required on arrival for all incidentals, extras and damage that may be incurred during your stay! 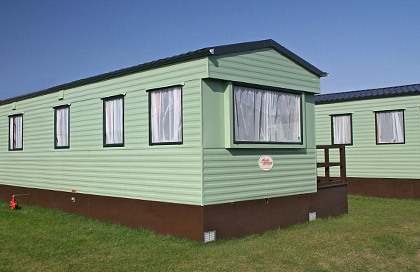 Pets - We regret that pets can not be accommodated in our holiday hire homes. Entry - From 3pm on day of arrival to 10am on day of departure. Please note that all images and diagrams shown on this page are purely for illustrative purposes. 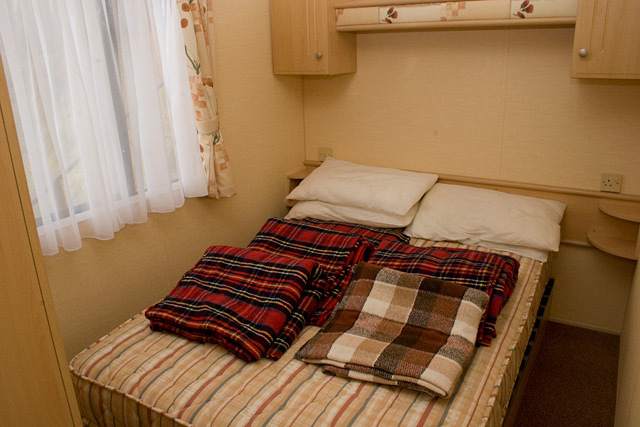 The general layout arrangements of the caravans in our hire fleet may vary slightly depending on the make and model of caravan. in order to see this 3D image.